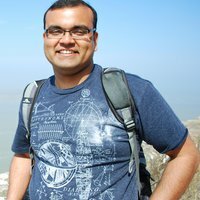 Piyush Harsh is a researcher in ZHAW InIT Cloud Computing Lab. His research interest includes distributed self-* capable systems, nature inspired computing, authentication protocols, cloud computing, to name a few. Before joining ICCLab, Piyush was the development coordinator of WP5 in FP7 project Contrail and was instrumental in the development of cloud-middleware tool Virtual Execution Platform. Piyush received his bachelors in Computer Science from Indian Institute of Technology and then received his MS and PhD degrees in Computer Engineering from Department of Computer and Information Science and Engineering at University of Florida. In the past Piyush worked as research engineer at INRIA Rennes Bretagne-Atlantique research center. At ICCLab, Piyush is involved in FP7 IPs Mobile Cloud Networking and T-Nova projects. This entry was posted in *. * by Piyush Harsh. Bookmark the permalink.